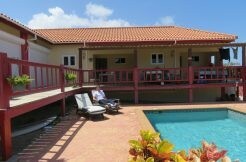 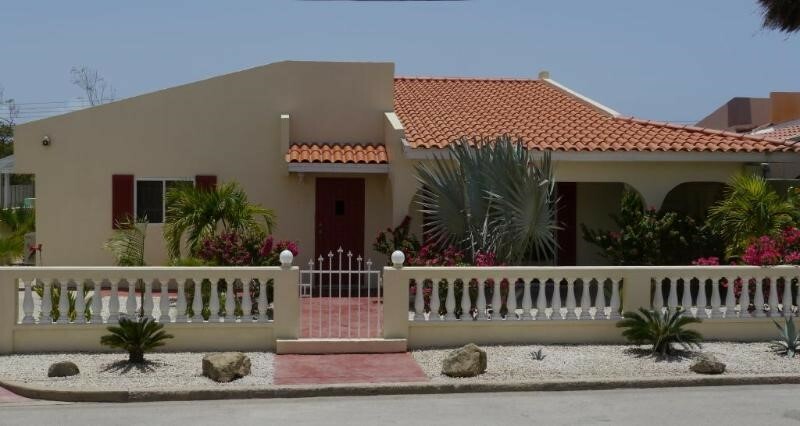 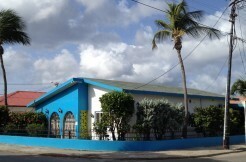 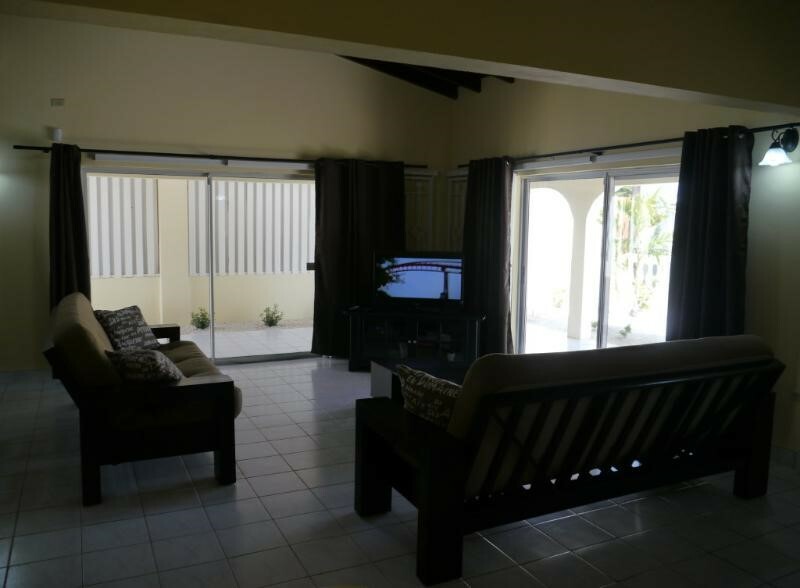 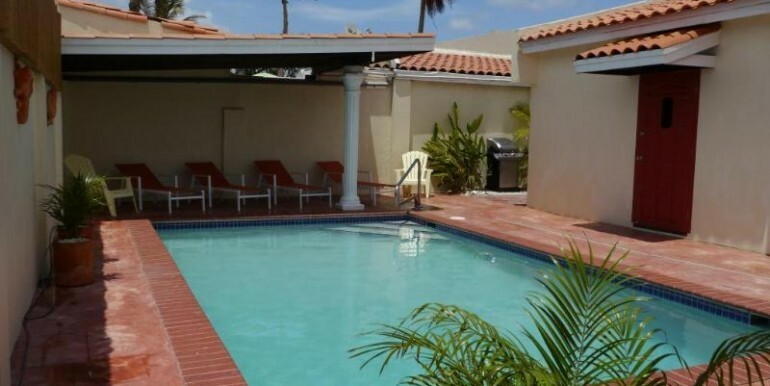 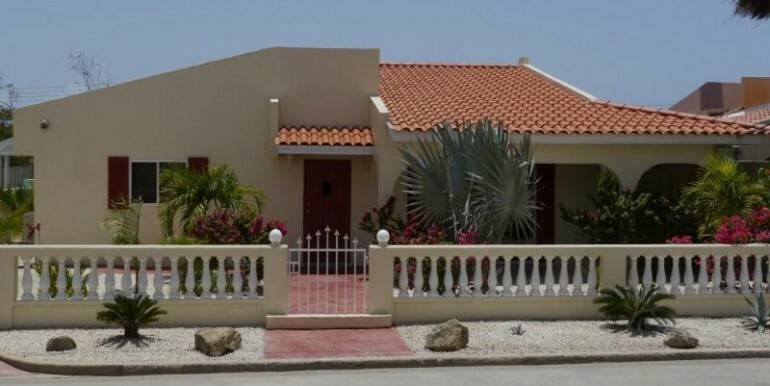 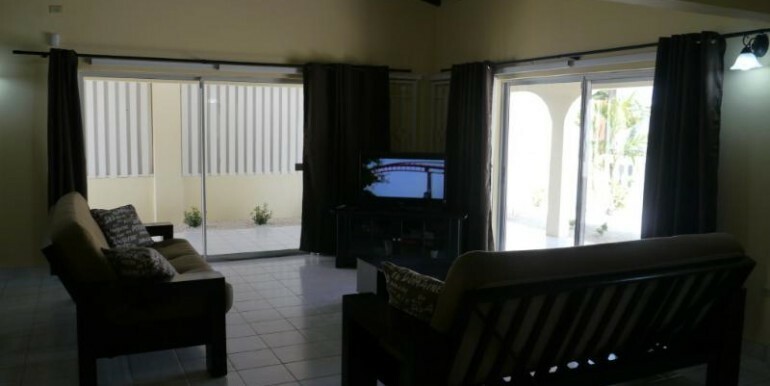 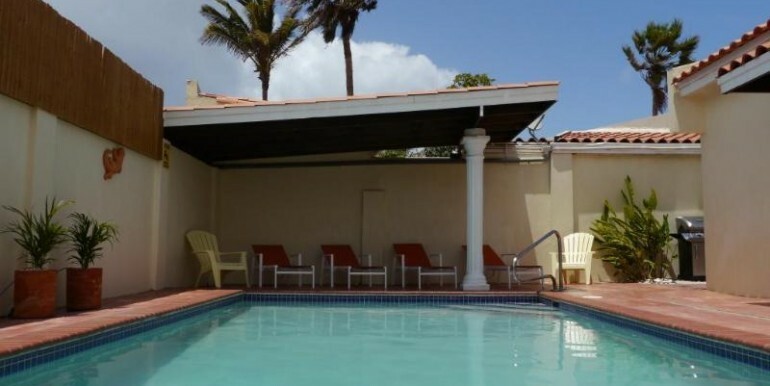 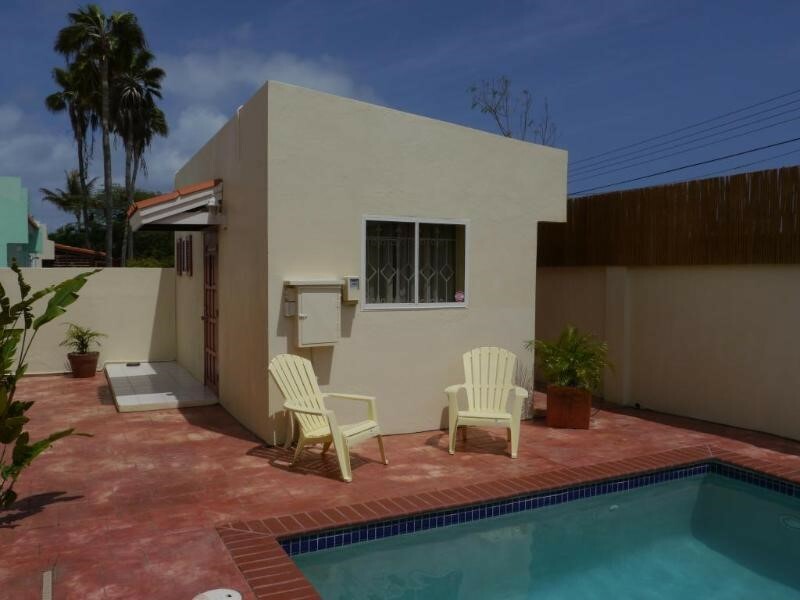 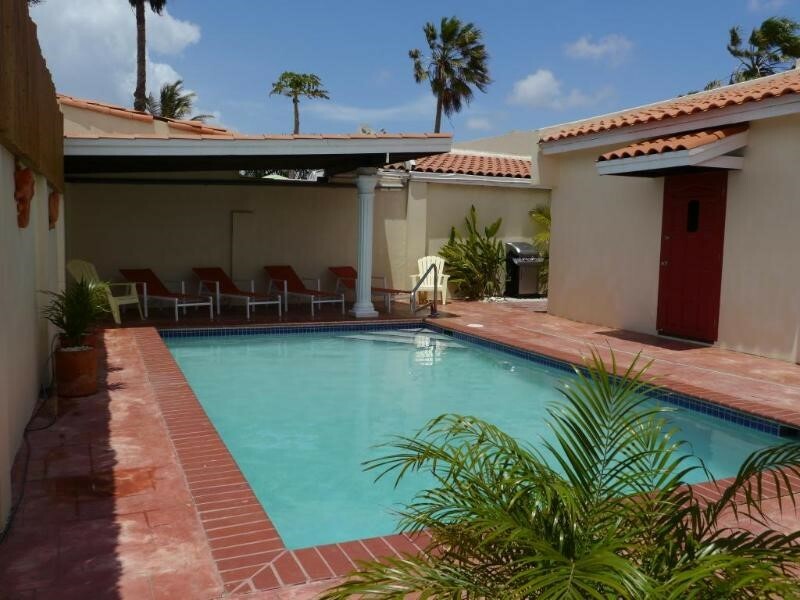 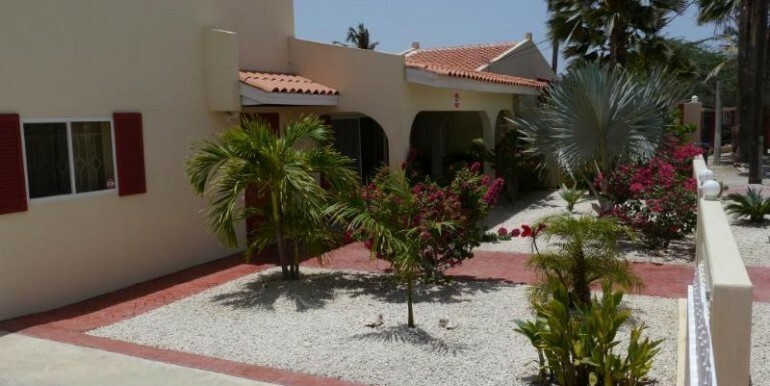 Noord Star Villa located in the North part of the island is a great family home to spend your vacation in Aruba. 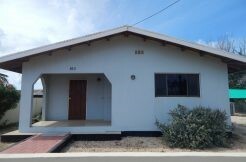 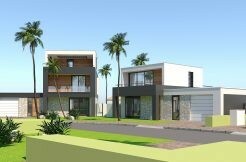 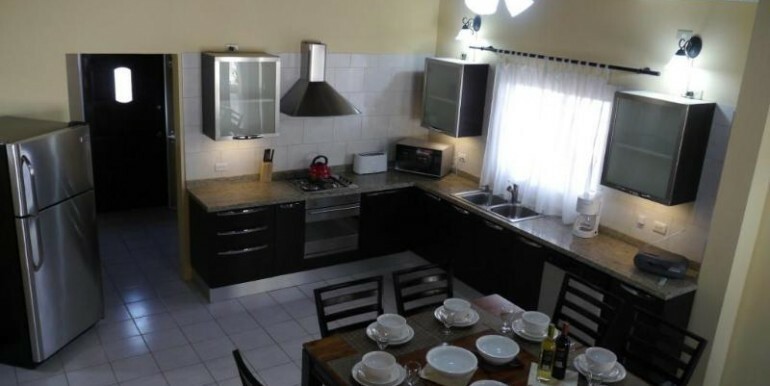 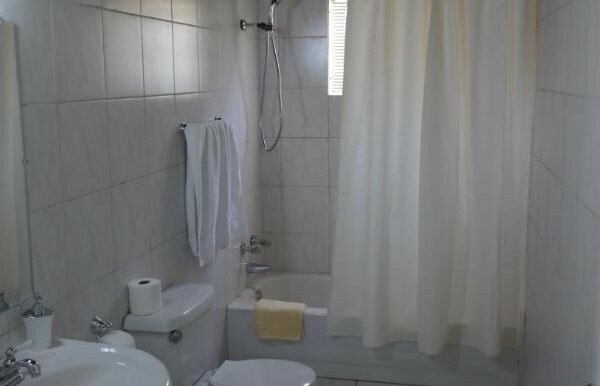 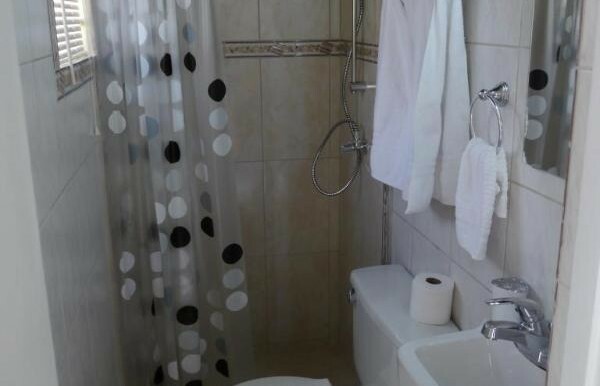 4 Bedrooms, 3 Bathrooms (Main House and Guest House at extra cost). 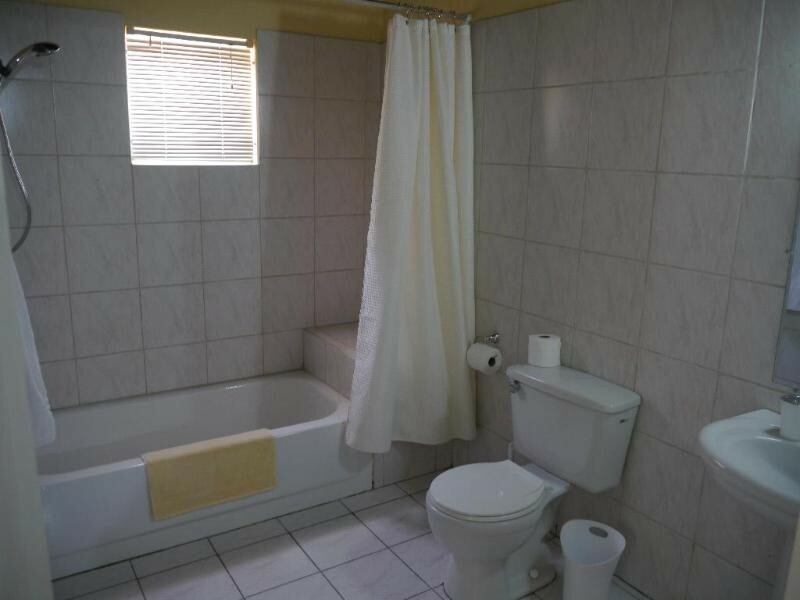 Perfect up to 8 guests. 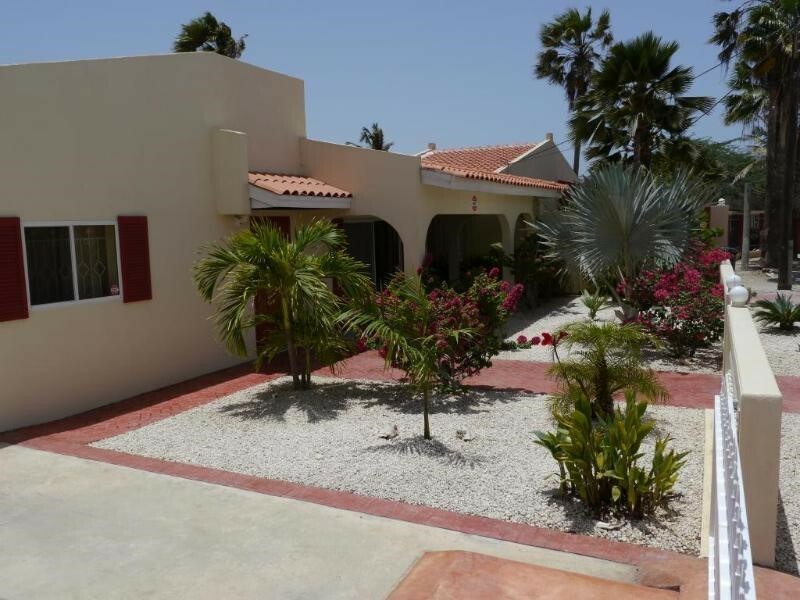 Enjoy with family and friends this spacious 3-bedroom/2-bathroom vacation home (Main House) with 1-bedroom/1-bathroom Guest House. 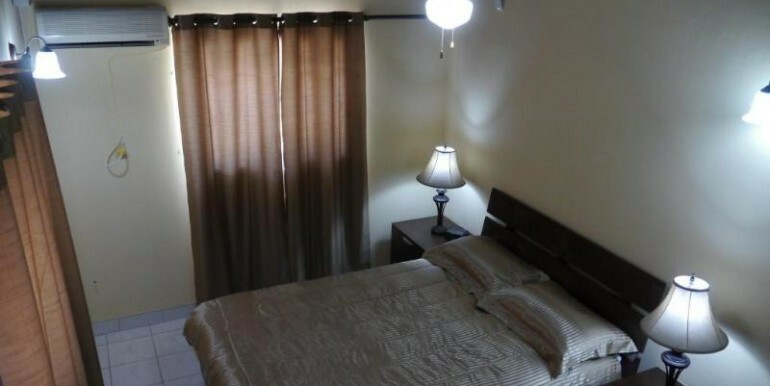 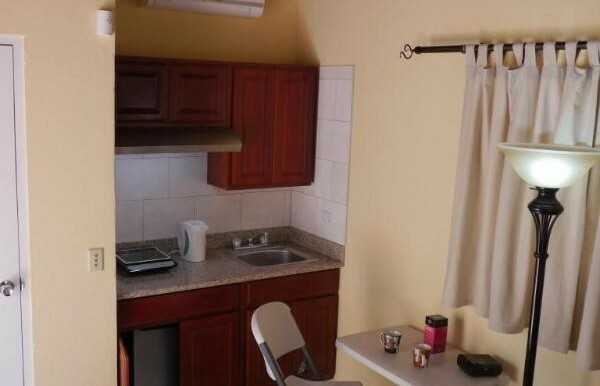 Guest House is available at extra cost to the same group of guests. 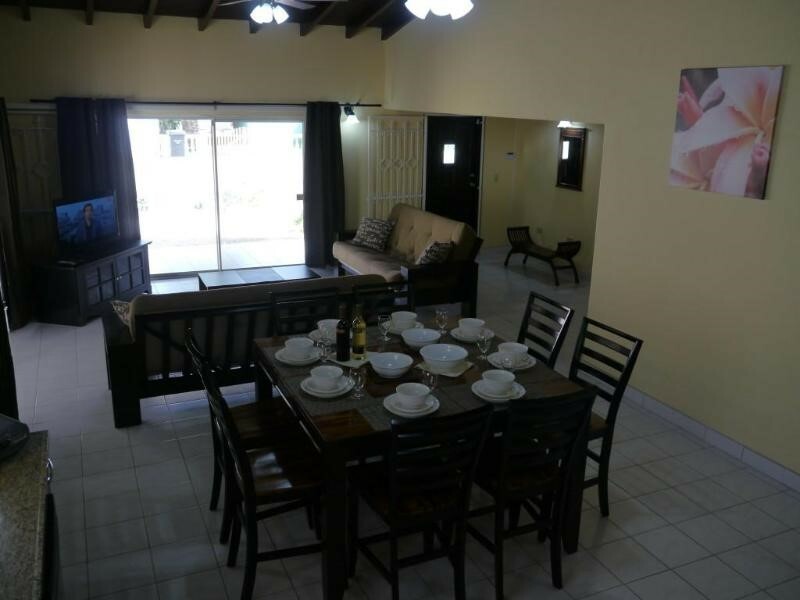 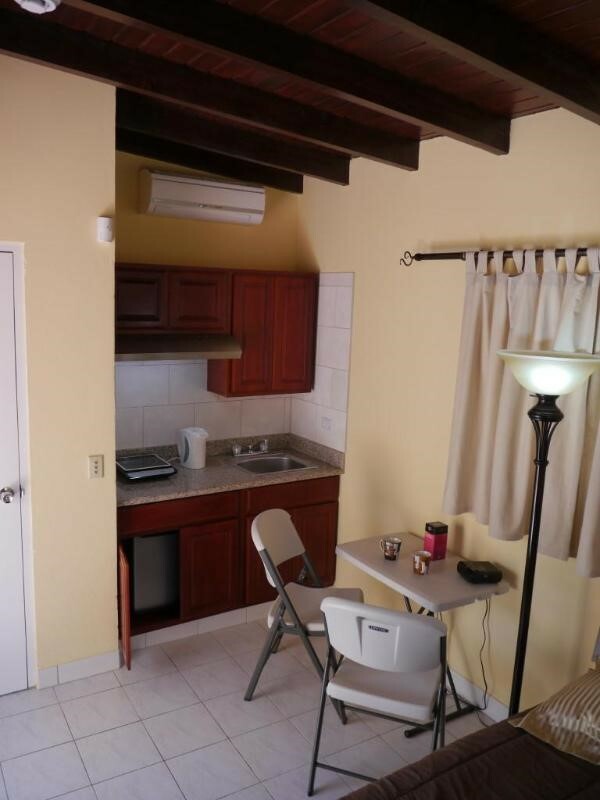 Located in a quiet and mature neighbourhood of Palm Court at Sabana Liber, Noord, close to anything you need for a great island vacation. 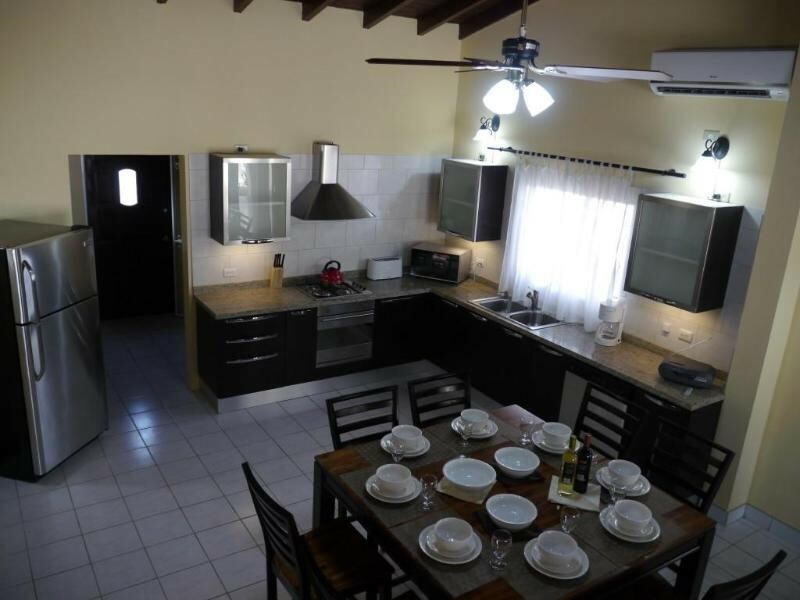 The villa has fully-equipped European kitchen and a wooden dining table and chairs for 8 persons, high-efficiency inverter air-conditioning AC units in all Main house rooms, lightning fixtures and ceiling fans, LED HDTVs with multisystem DVD/Blue-ray players in living/dining room and master bedroom, linens and bath/beach towels, infrared gas BBQ, etc. 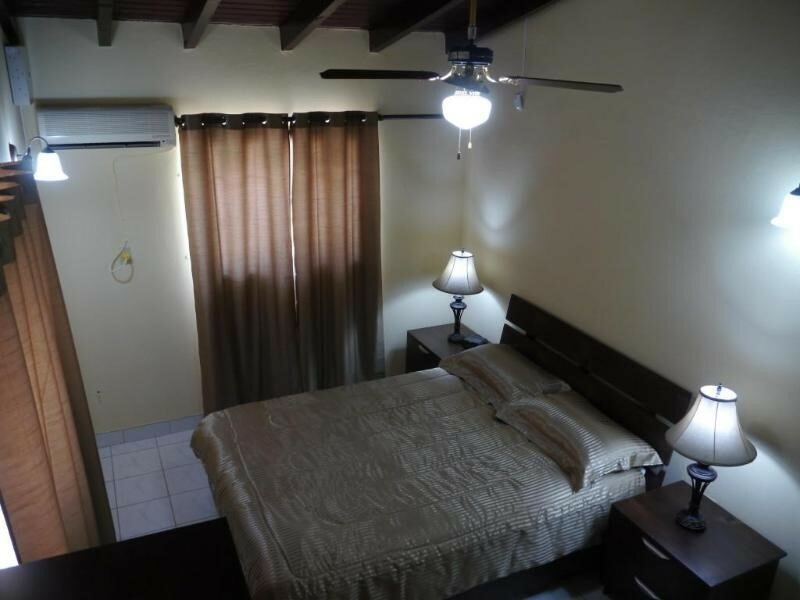 All bedrooms have queen-size beds, air-conditioning, ceiling fans, alarm/radio clocks and plenty of lights. 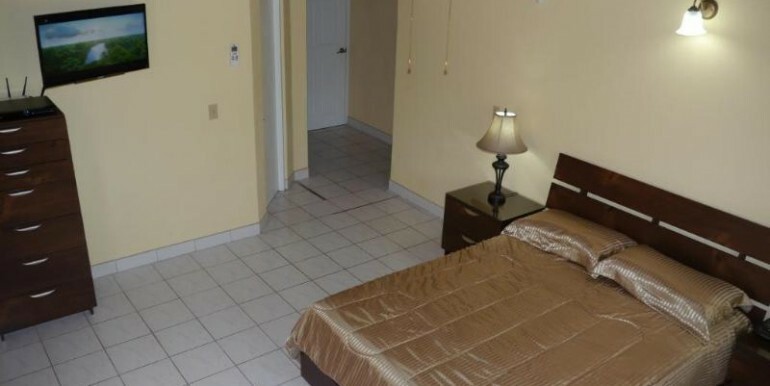 Master bedroom features an in-suite bathroom and spacious walk-in closet. 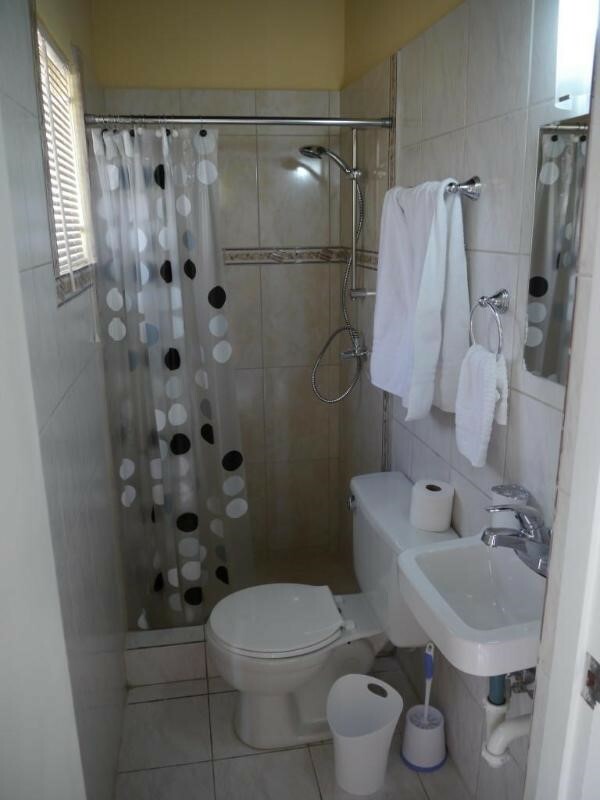 The main house has washer/dryer and hot water in kitchen and showers. 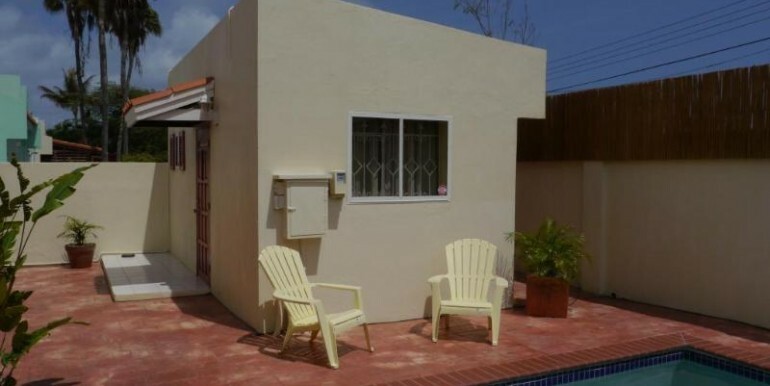 Hot water is provided by solar water heater to reduce the cost of utilities. 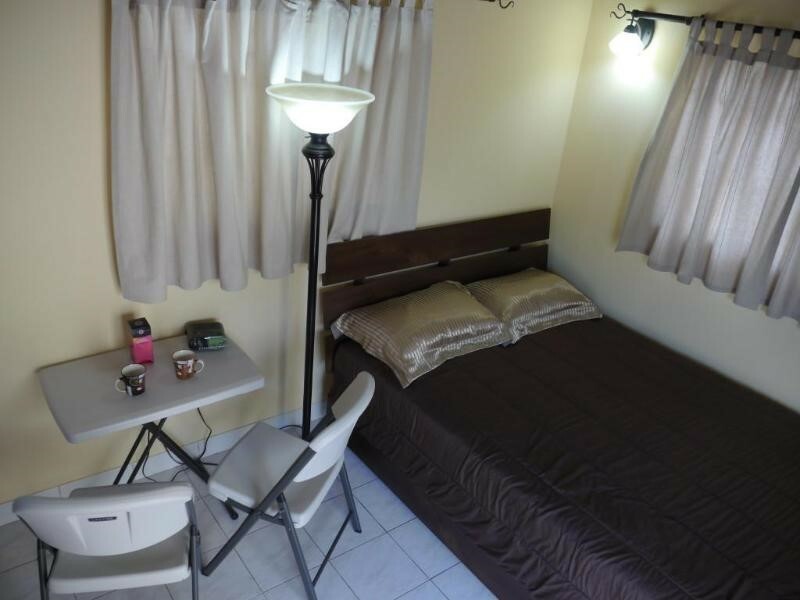 The guest house has 1 queen bed, full bathroom, folding table and 2 chairs, LED TV, air-conditioning, and kitchen with electrical induction stove, small refrigerator and cooking/dining ware for snacking and light cooking. 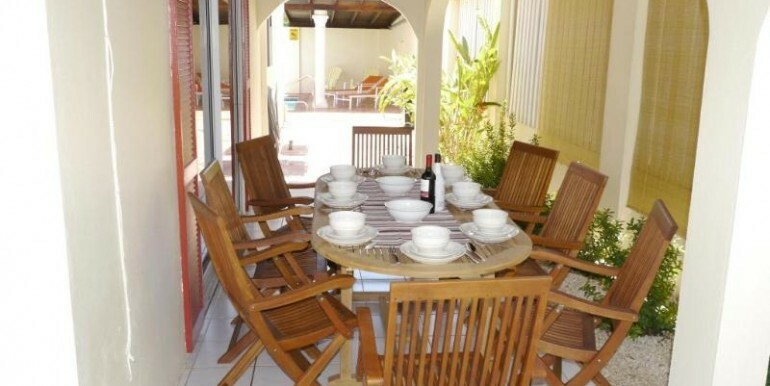 A wooden dining table and 8 chairs are set up on the patio for outdoor dining. 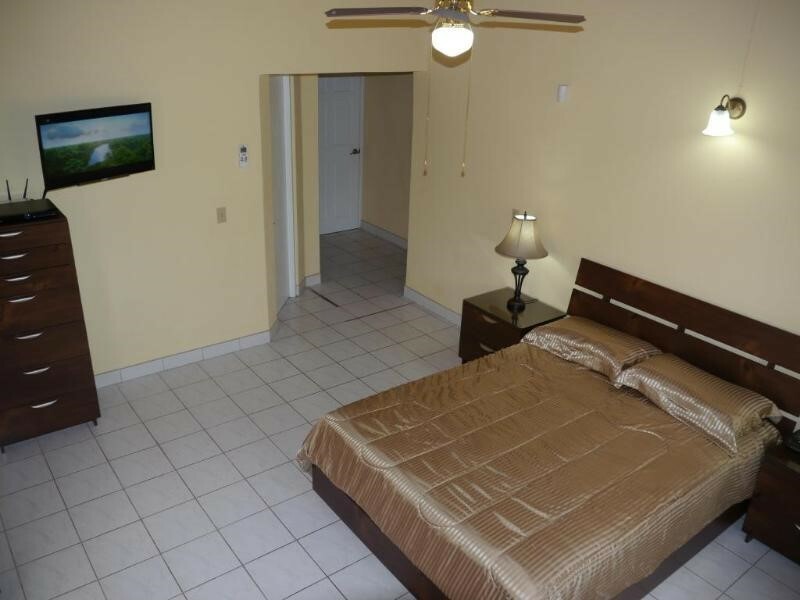 Both main and guest houses have separate alarm systems. 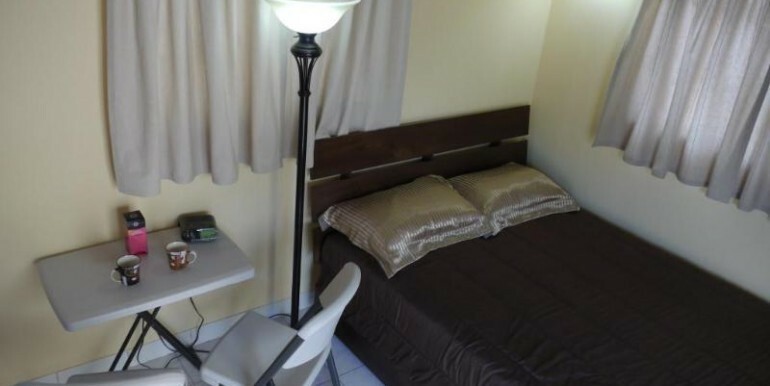 Fast WIFI internet is available on the whole property at no extra cost. 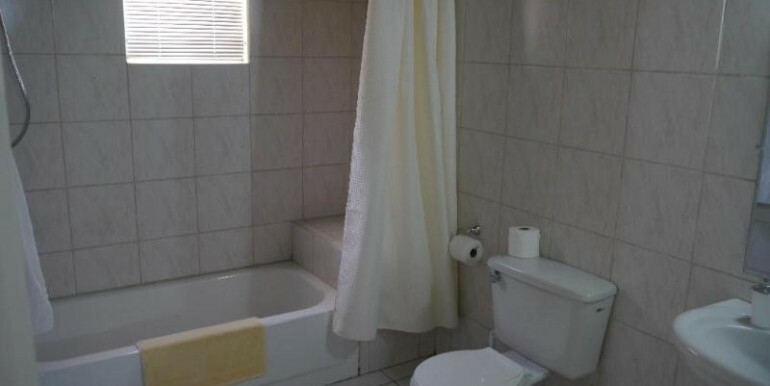 A cell phone with a local number is also available. 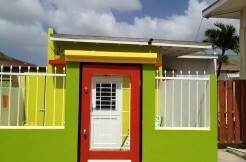 Incoming calls are free, but for outgoing calls a purchase of prepaid card is required. 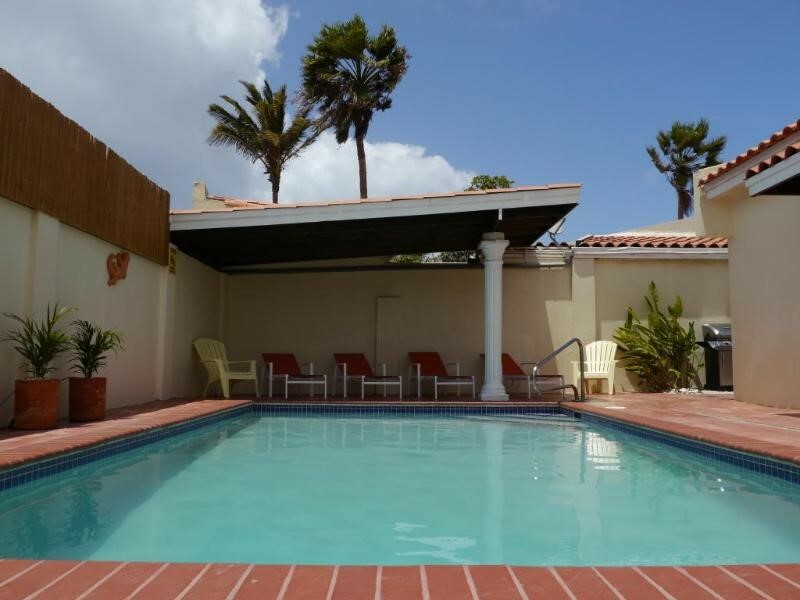 7 x 4 m (22.5’ x 13’) swimming pool is located at the back of the main house between the guest house and shade cabana with 4 lounge chairs and 6 comfortable garden chairs to enjoy the outside. 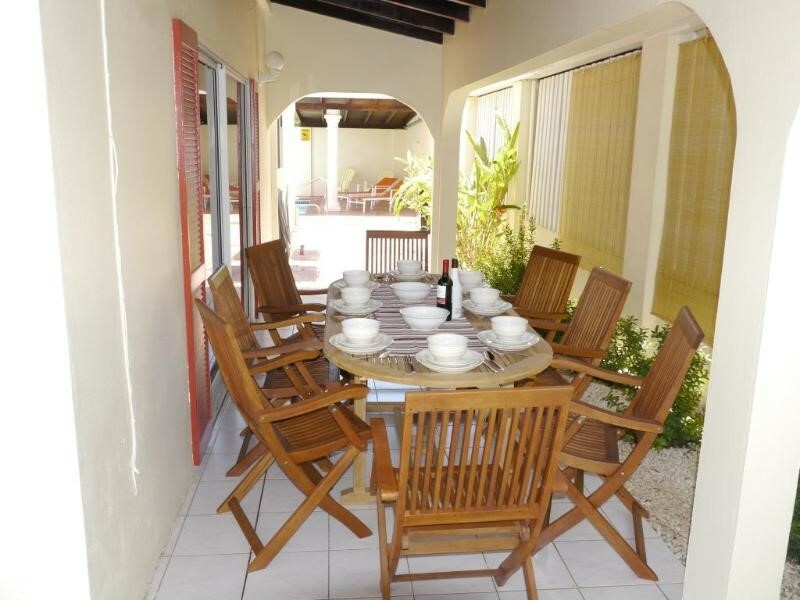 Low Season 1st September – 13h December US $1100.00 (or 157.14 per night) plus US$350.00 (if rented with the guest house). 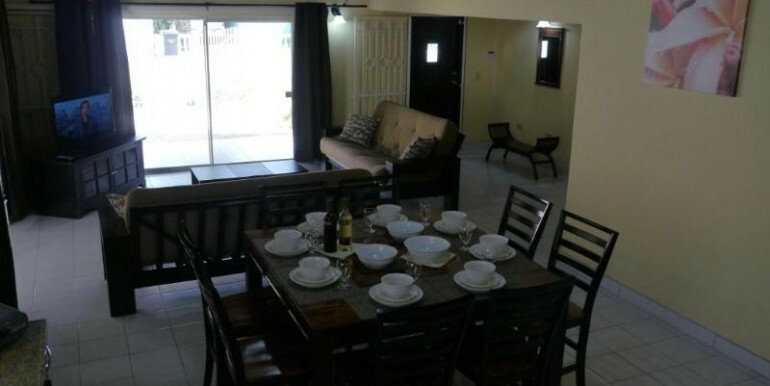 Minimum stay for Top Season (December 20 – January 5) is two weeks, all other seasons 6 nights. 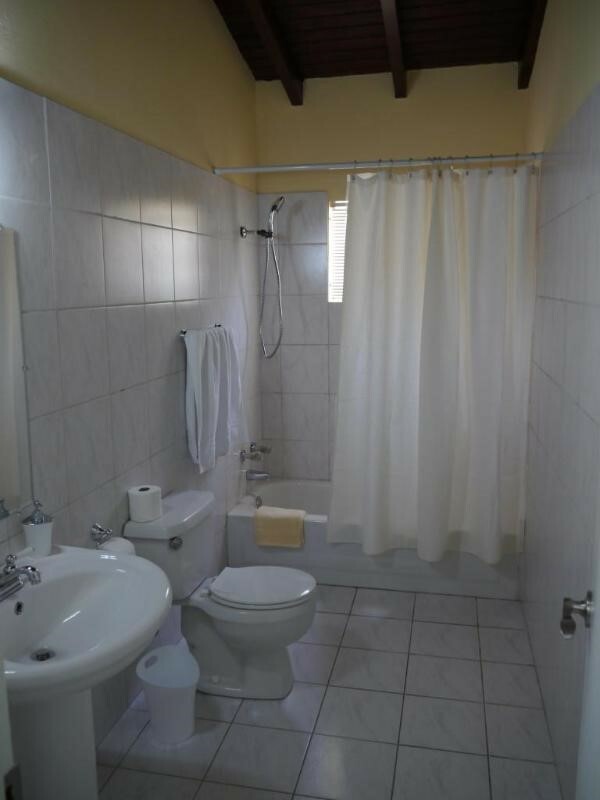 Final cleaning costs are $100.00 – without guest house and $125.00 – with guest house.